I have my Occasions Catalogue Launch coming up on Saturday and when I do an event like this, I like to have as many samples as I can get together from a variety of suites and stamp sets. With my busy schedule, it's hard to do that when I have to design each one, so I turn to the catalogue and try to turn my house into a physical representation of the suite photos, at least the ones that I ordered. It is much faster to churn out the samples when you have the photos right there and as a demonstrator, I also have a list of the supplies that go into making each of them. 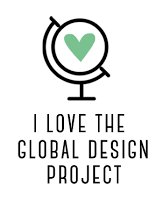 (Just one more reason to buy that starter kit during Sale-A-Bration and have access to all those wonderful resources!!) 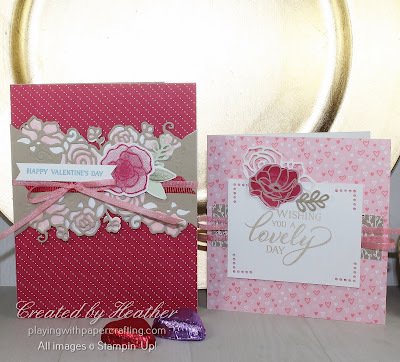 So today, I just wanted to share with you what I've been busy doing this week, and even if you can't be with us on Saturday afternoon, you can still see the Occasions Catalogue and Sale-A-Bration Brochure brought to life! 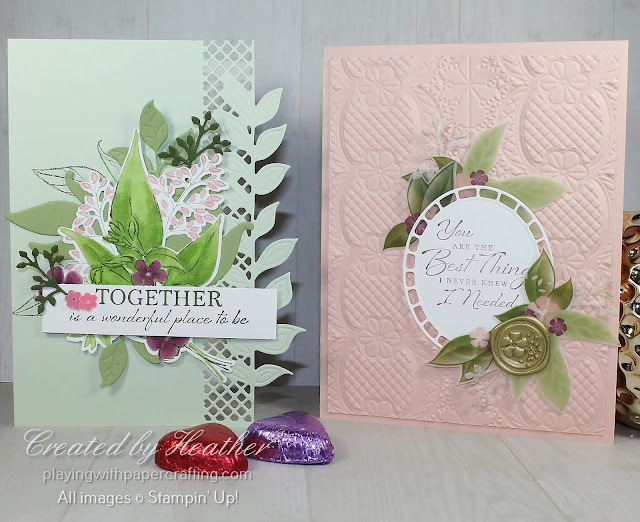 These two lovely cards are from the All My Love Suite, using the Forever Lovely Bundle, and the All My Love Designer Series Paper. 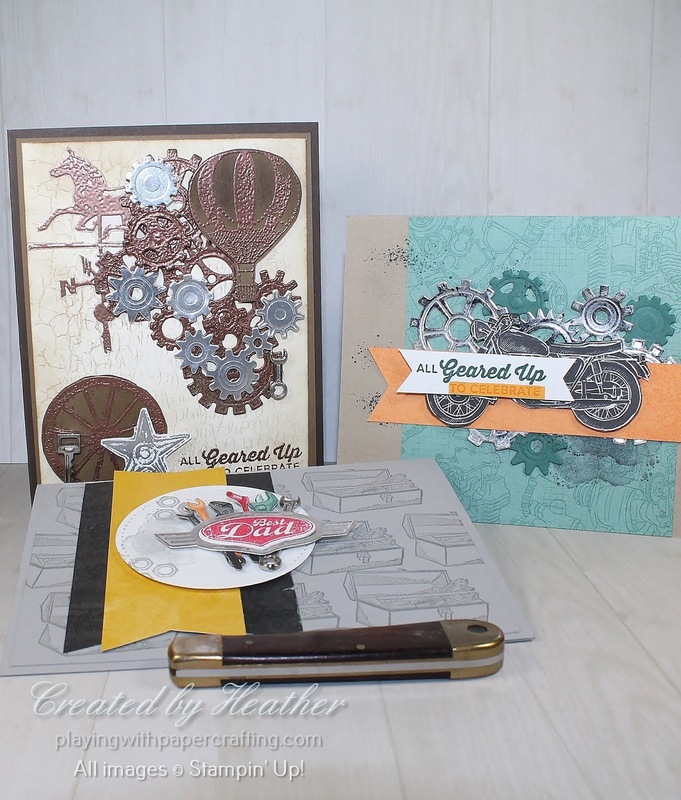 This suite is perfect for Valentines, weddings, anniversaries, or just a beautiful card for a friend. So versatile! 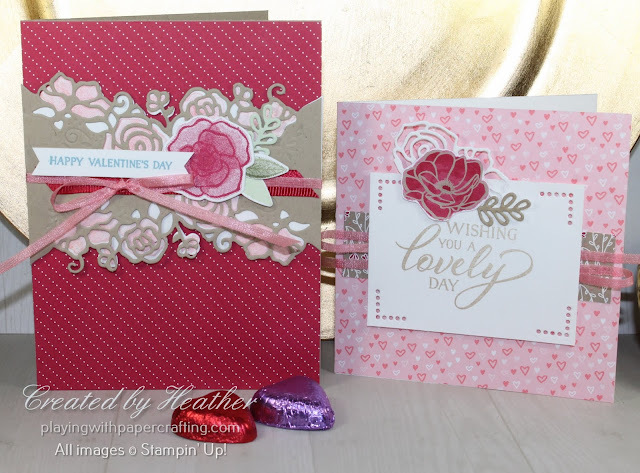 The next two are from Floral Romance, one of my favourite suites in the whole catalogue! They feature the Wonderful Romance stamp set and Wonderful Floral Framelits, which of course are bundled so you can save 10%. The Floral Romance Specialty Designer Series Paper is gorgeous, with a mix of foliage, patterned and vellum paper, all in pastels with a splash of Fresh Fig. And those Floral Romance Seals are so cool! 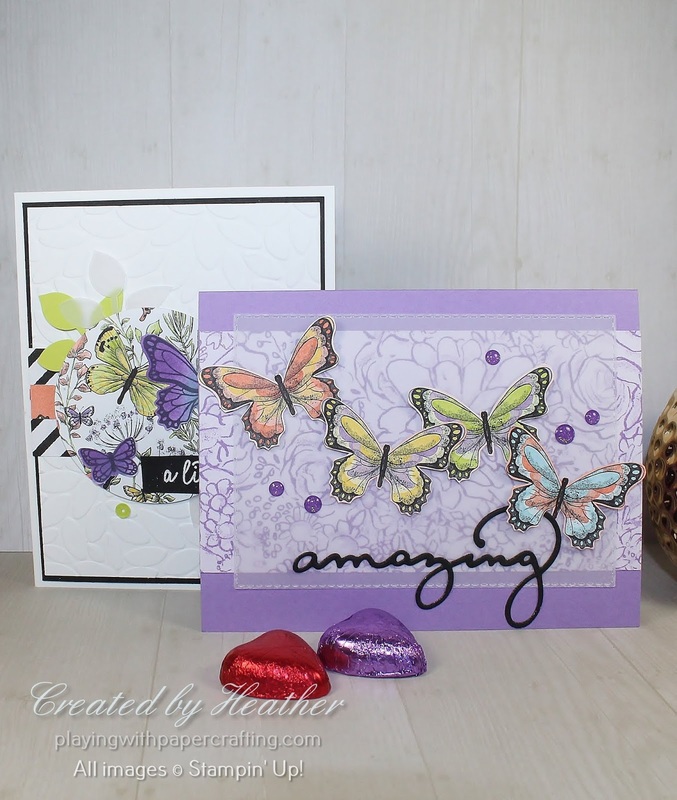 And the card on the right uses the Lace Dynamic Textured Impressions Embossing Folder! So gorgeous that the photo in the catalogue doesn't even begin to do it justice!! The next suite represented here is the How Sweet It Is Suite! This bright and sassy group of products are perfect for a candy bar! 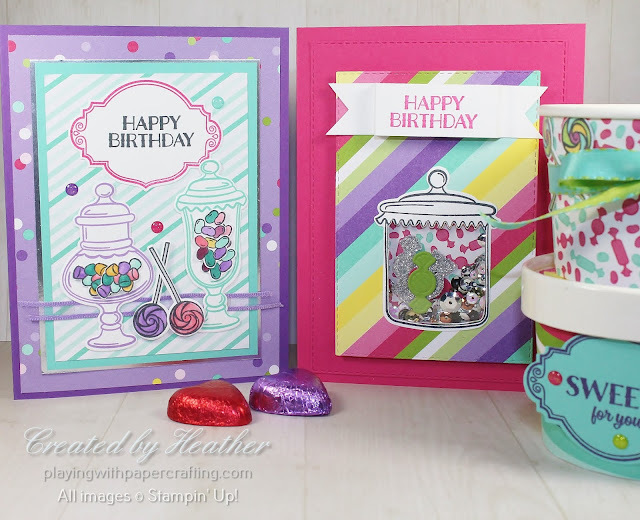 Here I've made good use of the How Sweet It Is Designer Series Paper for a birthday card which is actually my own design you can find out more about here and a "sweet" little shaker card that was super fun to make using all the candy dies from the Jar of Sweets Framelit Dies! The Sweetest Thing Photopolymer Stamp Set coordinates and bundles with them. The Sweet Cups on the right are really quite a good size and can be stamped on or covered with DSP although that's a bit tricky. I had to sacrifice one cup. 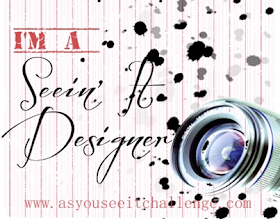 It gave up it's life to make a pattern I could trace on the Designer Paper. And then there's the Coastal Cabana/Granny Apple Green Reversible Ribbon that is so shiny and beautiful! 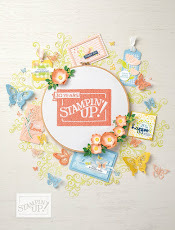 There weren't many samples from the Gingham Gala Suite that I really liked, so I checked out the page in the Sale-A-Bration Brochure using the Botanical Butterfly Designer Series Paper and Google for some designs. The one on the left I pretty much thoroughly cased from a sample by Craft-somnia Momma (a name I can relate to!) 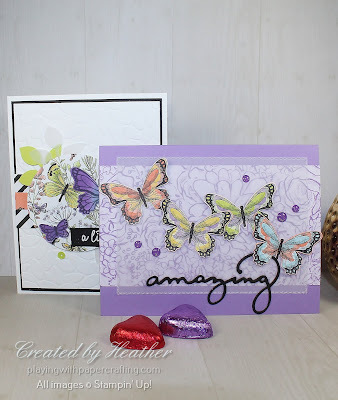 It's such a beautiful card though and uses the paper and the Butterfly Gala Bundle. The one on the right requires no stamping, just fussy cutting from the DSP and die cutting the sentiment. That's pretty much it. I may get a couple more done tomorrow, but I think that's a good representation along with some I've already made! 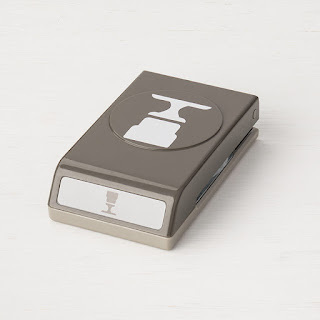 Two of the punches from the Occasions Catalog are going to be placed in a "not-orderable" status soon! The Butterfly Duet Punch will be available to order through 10:00 AM MT tomorrow and the Cake Builder Punch will be moving to not-orderable within the next two weeks. Both punches should be back in stock and available to order in mid-March. 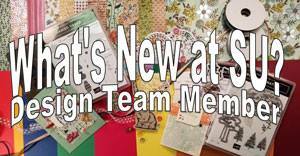 If you live in Canada and don't have a demonstrator, I would love it if you would order from me.